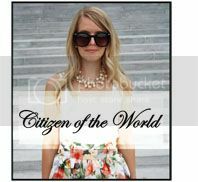 Citizen of the World: Wedding Skin Routine! Hey guys!! So, my wedding is 5 months away!! Holy cow!! So now is the time to start working on the little details...which, wedding ready skin is a big part of! Everyone wants to look flawless on their big day and your skin has a big part of that! Let's face it....you are the beautiful, bushing bride people are looking at! So, a while back I thought I would start going for a facial every month. It was always some level of microdermabrasion or a chemical peal! I know there's always a transition period when starting something new with your skin but I couldn't deal with it! I had done three months worth and my skin was looking absolutely terrible!! So, I gave up on them and went back to my regular routine. However, I added a couple great products and tools that are making a world of difference! Here are some of my products I've been loving! 1). Simple Moisturizing Facial Wash - I love this stuff! I had been using Cetaphil/Spectro Jel forever but was ready for something new. My face just wasn't feeling clean anymore! So I tried this face wash seeing as it seemed similar in it's simplicity for sensitive skin! It works wonderfully and I love that it actually foams up, which Cetaphil/Spectro Jel does not! It cleans and moisturizes and makes my skin feel great! 2). Clarisonic Mia - Oh my gosh, I can't tell you how much I love this thing!! I've been debating getting it forever and now I'm kicking myself for not getting it sooner! My skin has never felt so smooth and soft! I've only been using it for a week and I'm addicted to it! It gives my face a nice little scrub and massage all at the same time! I was debating between the original, the mia 2 and the 3! Considering your skin is a super sensitive part of you, I decided to go for the original! I decided the higher speeds really wouldn't do my skin any good! Which, I'm glad I did...the mia definitely gets the job done perfectly! 3). Murad Acne Spot Fix - This stuff is a dream! I've never had great skin and definitely still get the occasional spot! 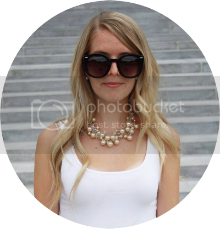 This spot correcter is a magic wand! It fixes and lightens the area at the same time. 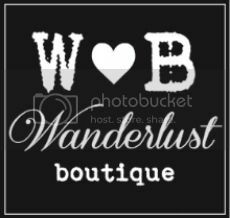 It's wonderful and I would recommend it to anyone and everyone! 4). Murad Skin Perfecting Lotion - Wow, what a lotion! I've only been using this stuff for a couple weeks now but it's incredible! I've noticed a minor difference in my skin so far but the difference is wonderful and definitely in the direction I want my skin to be heading! Just creates a more smooth and even skin tone! I would not suggest using this as a day cream....only a night cream! I find it a little too oily as a day cream! *Not seen in these photos...I have also added Murad's Acne Clearing Concealer Stick! I use it every day! Not only does it helps fight trouble areas but it covers wonderfully!! *On a side note....Murad is my new favorite skin line! It's amazing...I definitely want to try more of their products! 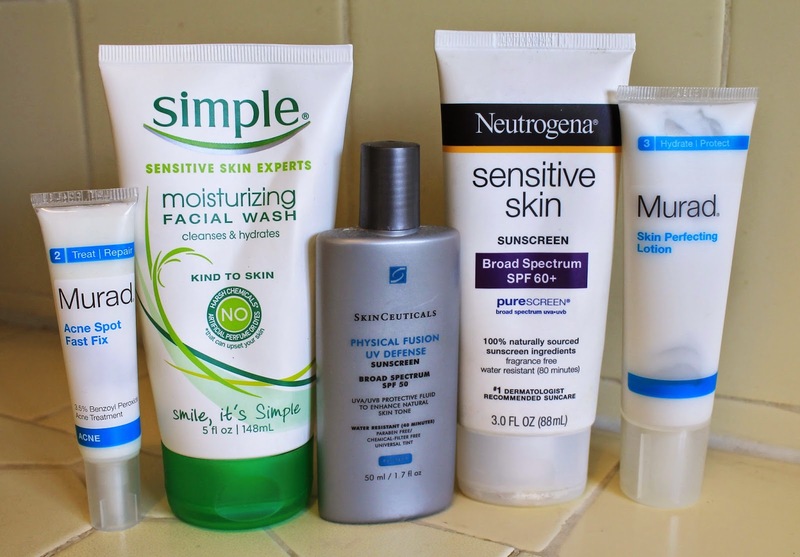 For those who have "trouble" skin and acne, try not too use too many acne focused products! Sometimes they dry your skin out and make your skin worse! When your skin is too dry your natural oils work on overdrive to stay moist, which creates more oil and trouble zones in the long wrong! Keep your skin moisturized! Find a moisturizer that works right for you! 5). Puritans Pride - I use their retinol cream and collagen and placenta night creme! 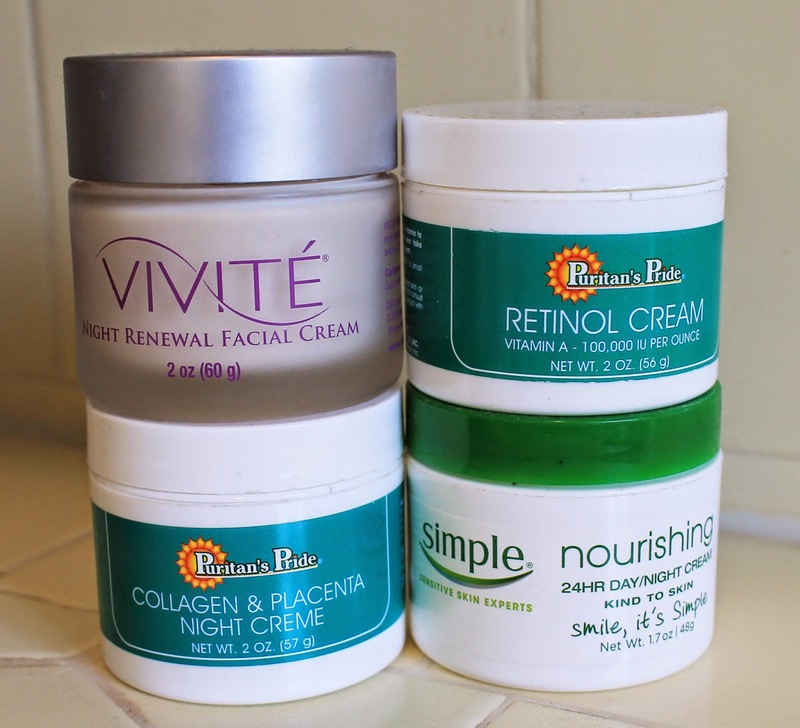 These moisturizers I use only once or twice a week! 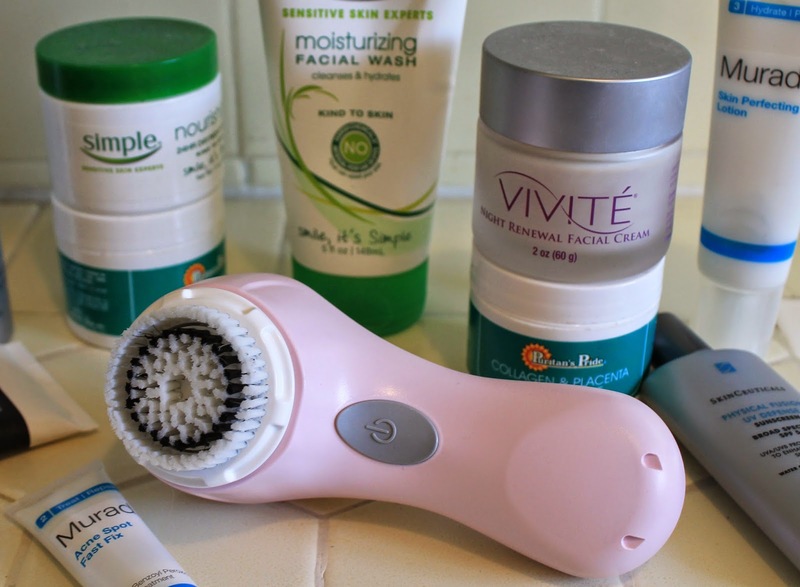 I like mixing up my products now that I know what works with my skin! I figure every product adds a little something your skin needs, so mix it up! My skin gets bored with routine so I like to keep it fresh! 6). Vivite Night Renewal Cream - I swear by this stuff! I've been using it for over a year now and I love it! I've changed how often I use it. I like to use it once or twice a week instead of every night! It just freshens up your face and helps turn over those dead skin cells to show off that new skin underneath! *Another tool I've added to my skin routine that isn't pictured here is a Tweezerman Skin Care Tool which can be found: HERE! I use it for blackheads, whiteheads and pesky zits that are ready to pop without using your hands which usually have dirt on them and can infect the area and make things worse! Last but not least....sunscreen!! Keep away those dark spots and keep those cancerous tans to a minimum! 7). Skin Ceuticals - Tinted sunscreen! This stuff is great as it acts as foundation and evens out your skin while also defending it from the harsh rays of the sun! 8). Neutrogena - Sensitive Sunscreen! I've started using the highest SPF possible! When I was younger, I use to love a good tan but now I'm all about keeping myself as pasty white as possible! Especially trying to reducing my dark spots and freckles! Let's face it...skin cancer is no joke! Keep your skin healthy! This sunscreen is amazing especially for my sensitive skin! This stuff doesn't make me breakout at all! 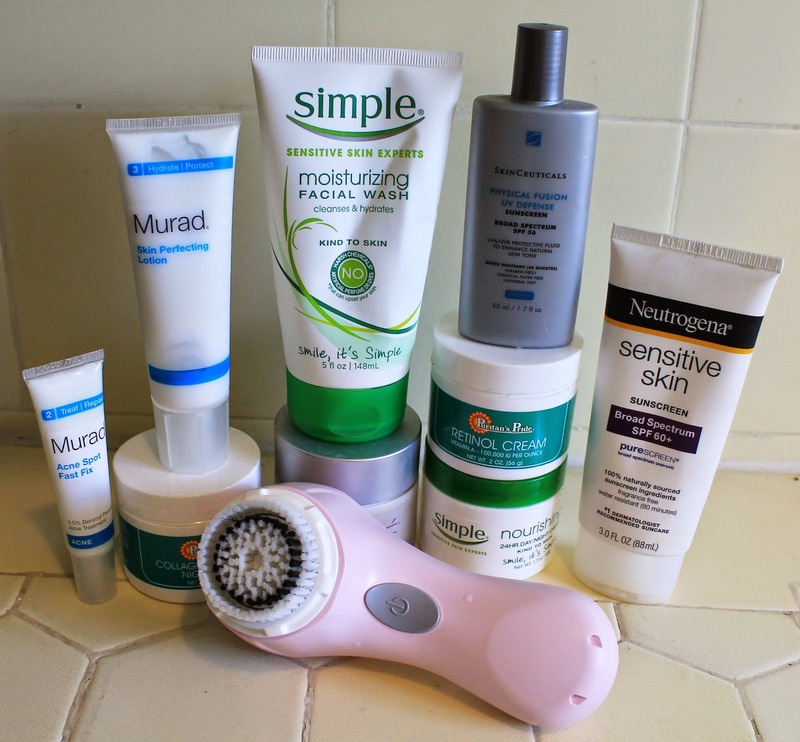 Great post!I have some dark spot (Sun damage)on my face and wondering if the Murad would help?